The company has been accused of false advertising after posting an ad of a woman who pays R702 on her premium. Financial services and investments company OUTsurance was on Thursday accused of false advertising and quoting car insurance payments based on race following an advertisement it posted on social media. 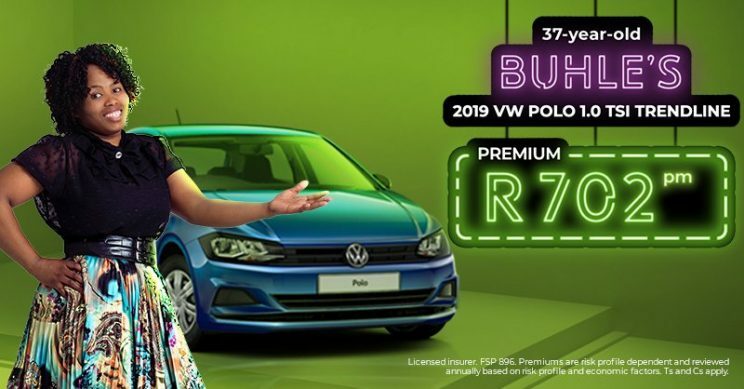 In the advertisement, OUTsurance posted a picture of a black, 37-year-old woman named Buhle, standing next to a 2019 VW Polo and said she paid R702 monthly on her premium, an advertisement that social media users said was false. “Her excess is our standard vehicle excess of R4,600,” said OUTsurance. The name Buhle trended as a result. Social media users accused the company of lying about Buhle’s premium, sharing stories of how they were allegedly quoted more even though their profiles were more or less the same as Buhle’s. Others claimed the Buhle in question may have been a white person, alleging that the company used race as a risk factor. Other social media users shared a post from Facebook in which the company was accused of quoting more money to a black man who had the same profile as his white friend. Responding to the allegations on social media, the company said the advertisement was truthful because the premium Buhle paid was determined by her specific profile. Hello. It is important to note the premium was based on her unique risk profile. A variety of factors will have an effect on the premium, ie: usage of vehicle, day and night time parking, previous claims, previous insurance history and when license was obtained, to mention a few. The company further denied using race as a risk factor on its quotations, and said it did try reaching out to the guy who made the allegations on Facebook, but to no avail. Hello. We assure you race has never been a risk factor. The post you refer to was initially posted onto Facebook. We made several attempts to obtain the detail form the gent. Sadly, to this day, he has not been forthcoming.